Forget that Grandma’s Camry Beige 996. Some old lady crashed into my ’05 Mustang GT and I need help finding a replacement. Ideally, $10k would be fair for the budget. I would like something with a manual, preferably RWD and seating for four (rear seats don’t need to be comfortable). I’m not too concerned about fuel mileage but I do need to be able to count on it to be comfortable and reliable for long road trips. Do you think the faithful DT commenters could help me out with it? 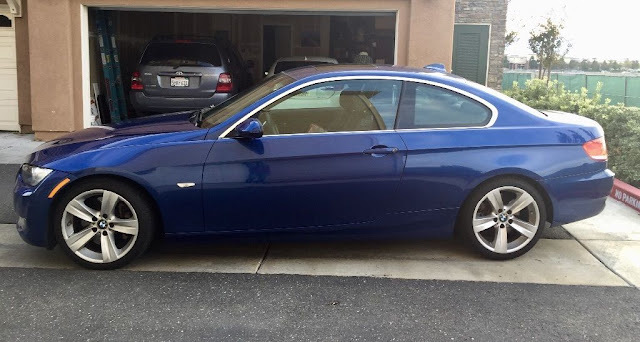 DT E-i-C Vince: I'd like to recommend this 2007 BMW 335i Coupe here on eBay offered for $11,900 buy-it-now located in Dublin, CA. What do you recommend for Day? I was going to recommend a G37 Coupe with the 6 speed, but it seems they are closer to the $12-$15k range. I know that it might seem less exciting than your Mustang, but I'm going to push the Lexus IS 250. You can have one for under 10 grand, fairly comfortable, there are eight within a thousand miles of me with a manual, and you won't have to worry about reliability, or adults vomiting at the idea of having to climb into the back of a tiny coupe. Manual, rwd, room for four? Check, check and check. Nissan Frontier.